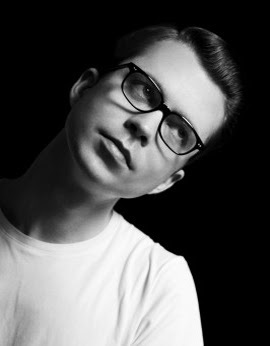 Tom Vek a.k.a Thomas Timothy Vernon-Kell was heard loud and clear in the United Kingdom when he first debuted a unique alternative sound almost 10 years ago. And over here, stateside, the distinctive experimental rock made ripples in the right corners by comparison. This time will be different. It is almost impossible not to take notice of the self-taught multi-instrumentalist. His upcoming album, Leisure Seizure, already shows promise of being a beast. And there is a steady groundswell of interest growing around the artist since he released his first single, A Chore. Everything about the song is a dizzying reminder of why Vek is able to sink in so deep after a few uncertain spins. The music is as unrelenting as the work he lent to Kill Bill. It's pounding and addictive; alternative noise different enough that you question it before it sticks. The breakout video for the single, directed by Ollie Evens and produced by Leanne Stott, has some folks confused about who Tom Vek really is. (We included his press pic as a clue, but the rest is up to you.) But that aside, A Chore chokes along with compelling lyrics about how people stumble along, temporarily abandoning dreams and growing discontent. And then what? A Chore alludes to some self-reflection during a self-imposed exile. Vek himself, who is starting to speak about his self-imposed exile, provides some clues. He told Spin he spent three years just trying to find the right studio to produce his work. While it might seem impossible to understand given he started in a garage, longtime fans recall that he also spent eight years there before anyone heard his work. When he was ready, he busted out an album that many people called the ultimate answer to the indie industry stuck in a mainstream patch. We Have Sound was a surprising debut by an accidental artist simultaneously working on a design degree. Based on early interviews, the optimistic deliberation is only partly true. While fans guessed where Vek might be, he was trudging along with the work, feeling discontent and unfulfilled. And even when everything looked good on paper, it still didn't feel right. A world of doubt. This second song, which has yet to be released as a single, is still being discovered as a YouTube video. Equally strong, the music is captivating enough that the imagery is all but lost on the screen. The meandering alternative near-rap is remarkably well measured against a backdrop of swooning percussion. The new album is due out on June 7. Based on the first song released by Vek, it will persuade more than a few people to rethink their direction. Given Vek is one of the few who produced one album, disappeared, and still drew impostors, it's safe to say he has influence. Tom Vek's A Chore Shakes 9.3 On The Liquid Hip Richter Scale. There is no doubt that Vek is an acquired taste, with a rawness made distinct by recording in a garage with limited equipment, even after being polished by Tom Rixton. This time out, some of that rawness is still there, but all of it is intentional. The songs seem fuller and filled with contemplation as a result. You can find A Chore on iTunes. You can also find his 2003 single, One Horse Race and If I Had Changed My Mind there too. While Leisure Seizure has a distinctly different sound, you can check out his previous album, We Have Sound, on Amazon. We Have Sound (Tom Vek) can also be found at Barnes & Noble. Both Amazon and Barnes & Noble have preorder links to the new album with varied dates.